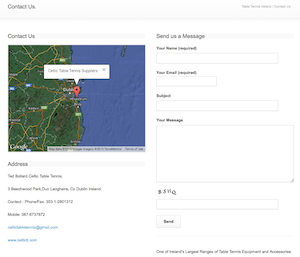 Tibhar product range was developed to a wider variety. TIBHAR programme is total complete and ranges from leisure to world-class table tennis equipment. Drinkhall Off.Classic. A fast attacking blade but with excellent feeling designed for a traditional topspin game.Has nice balance and touch. 5 ply. Drinkhall A/R 50. Made to enable the developing and experienced player to play the full range of strokes in total confidence. 5ply. St. Fl. An. Samsonov Force Pro. A blade that can be what its user requires.Varied speeds and excellent control combine to put your opponent under pressure. 7 ply. St. Fl. An. Off. Balsa Fibretec 75. 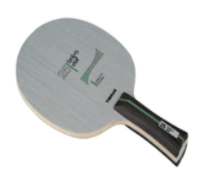 An extra light fibreglass blade made especially for the player who seeks to initiate aggressive topspin rallies. The 7.5mm balsa core generates high speed and spin. Balsa Fibre Off 60. This blade is for players who like to attack but at the same look for precision. 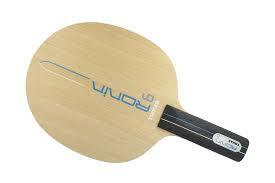 Its fibreglass construction increases the sweet spot and confers good control and speed. 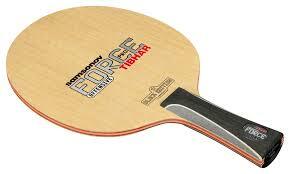 Kinetic Speed.The new synthetic fibres used in the manufacture of this blade give it a huge sweet spot.It has great feel and touch,which allied to its speed makes it entirely controllable. 7ply St. Fl. An. Off. SAMSONOV FORCE PAD BLACK. This blade features excellent speed. 7 high quality plies. Unsurpassed sensation. Weight: 85-90gms OFF. 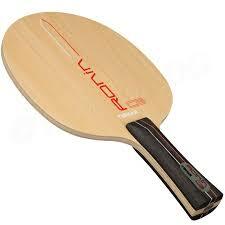 A 5 ply allround blade, giving great control and an exceptional playing sensation. Potential for high spin and speed. Weight: 85-90gms A/R +. An extremely fast 7 ply all wood blade. 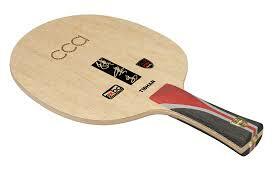 It is an out and out attacking weapon giving hard topspin and a lot of spin. 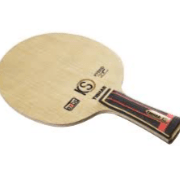 Speed: 9 Control: 6+ Weight: 85-90gms OFF. 7 ply wood aimed at the classical offensive player. 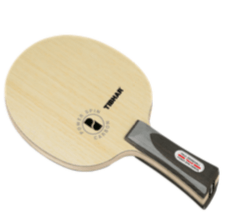 The blade realises precise and accurate strokes at mid distance. 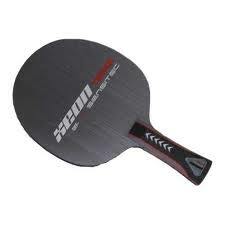 Speed: 8 Control: 8 Weight: 85-90gms OFF-. The balsa heart confers the lightness and playing sensation of this blade. High tec carbon gives the power and speed which enables a player to explode into extraordinary attacking strokes anywhere at the table. 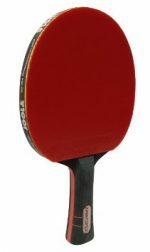 Speed: 9+ Control: 6 Weight: 75gms OFF+. This is the Premium Blade adapted with a new handle to fit youngster’s grip and game. 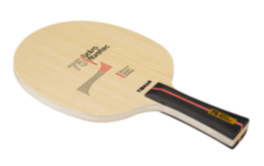 The classical IVL blade has been produced with a new shape, and a new comfort grip – the so called SGS System (Sponge Grip System). More control and more acceleration. 4 PLY FL. ST. Off. This offensive unit has with the new SGS grip and optimised shape released more aggressive potential. FL. ST. Off. A precise 5 Ply blade ideal for the committed all rounder who likes to surprise with sudden aggression. FL. ST. Off-. The new blade of the multiple European Champion impresses by the exciting speed and control combination. 7 Ply FL. ST. Off. An offensive wood giving unlimited flexibility throughout the whole range of stroke play. Good balance of speed and control. 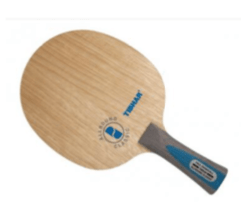 A light-weight blade, it is ideal when combined with the softer Nimbus rubbers. 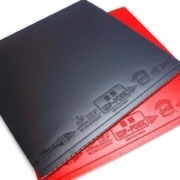 Special varnish for surface protection. Offensive wood giving good control, even at high speed. It is designed for the modern attacking game. Special varnish for surface protection. The TIBHAR specialists for defensive play have developed a blade which makes life easier for defensive players. The weapon for the uncompromising attack. 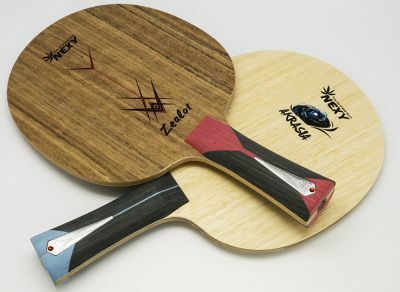 Its secret lies in the two different carbon layers which regulate both the speed and the control of the blade. Extremely soft Ayous layers mixed with 2 carbon ones. 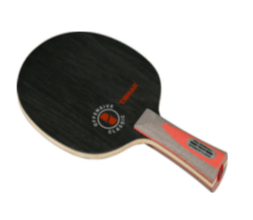 The result is amazing : a carbon blade providing tremendous feeling and ball control when playing highspeed. This classic defensive blade amazes by its ball control. 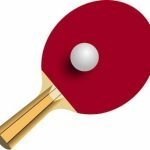 You can return each of your opponent’s strokes easily. A great new 6-ply blade – very light, just 70g. 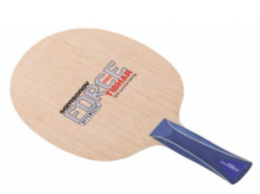 This blade has been principally designed for players looking for good touch and control. The blade of the team European Champion Patrick Chila is a real lightweight. This OFF/ALL blade is ideal for the modern, varied spin attacking game. A relatively hard defence blade with a slightly larger head, designed for a modern defensive game. A really good lightweight blade.